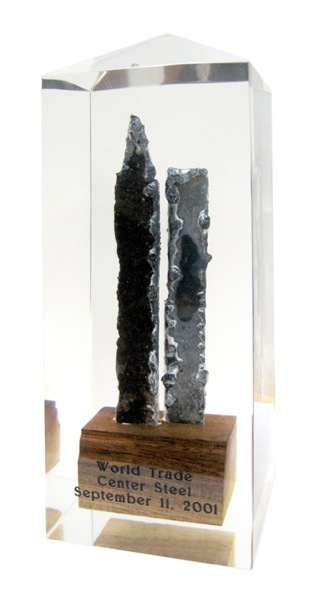 W & E Baum specializes in custom designing and manufacturing unique one of a kind awards, medallions and sculptures in a multitude of mediums. 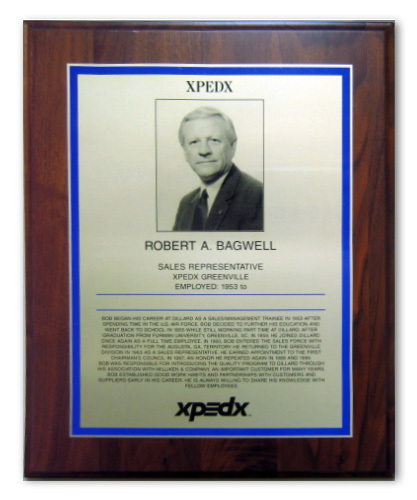 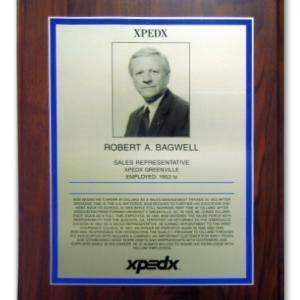 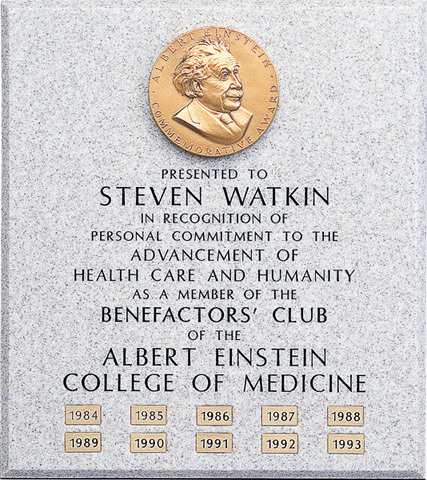 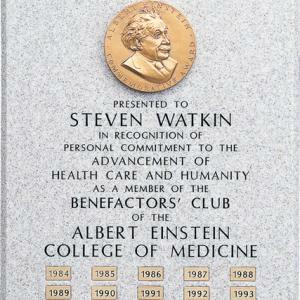 We also have hundreds of stock award designs. 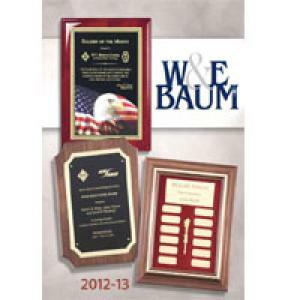 Our W & E Baum recognition specialists help you plan and implement your awards program. 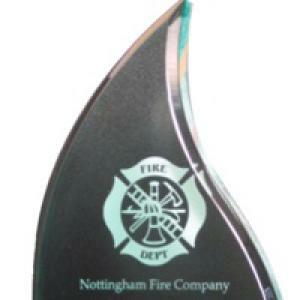 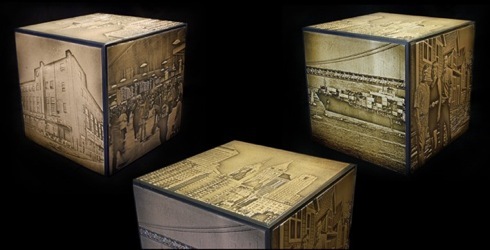 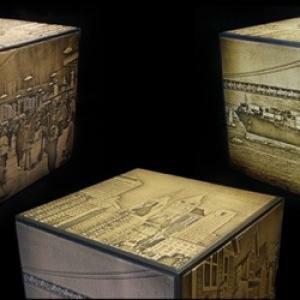 Contact us to design and manufacture your next award. 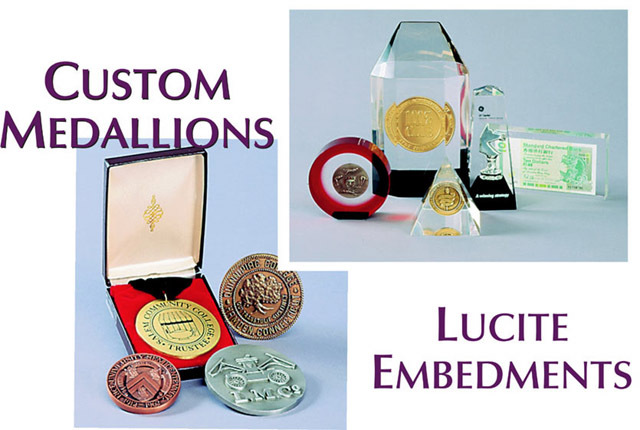 Stamped and etched Custom Medallions fabricated in brass, bronze or aluminum; used on award plaques, affixed to neck ribbons or embedded. 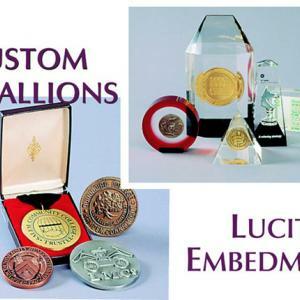 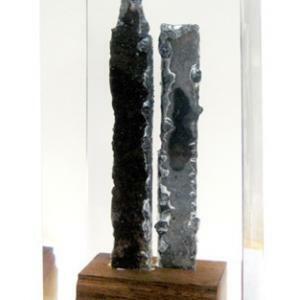 Lucite Embedments in many shapes and sizes also house certificates, sculptures, coins and medallions. 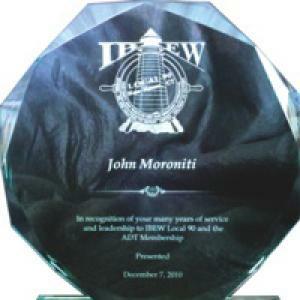 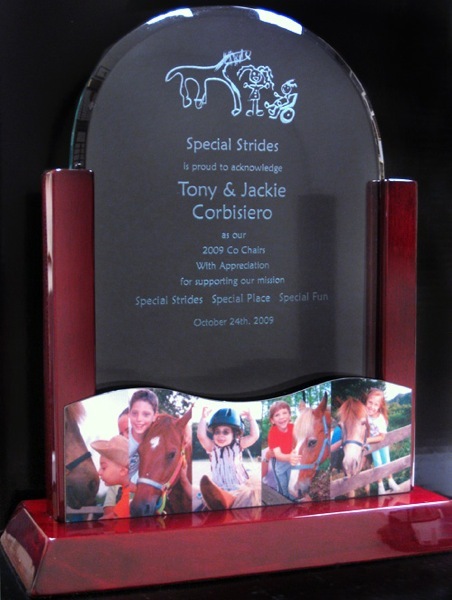 Polished cherry award with etched glass and custom cut aluminum photo images. 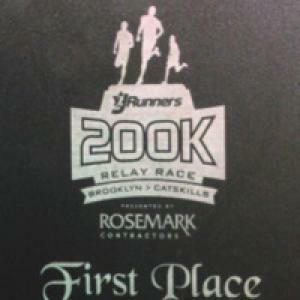 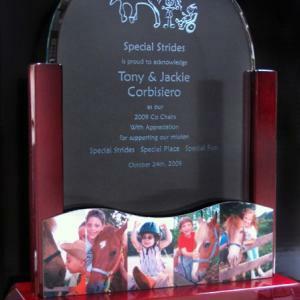 Contact us to create your custom awards.